Our mission is simple, to serve those who use wheelchairs and have trouble with stairs. Our company has been manufacturing metal architectural products since 1970. In 1998, we developed and patented our low cost Amramp system. Several years were spent developing and testing the business method of delivering ramps through our distributor network across the United States. We are confident this proven method works well. We can sell or RENT (yes, rent) a ramp of any size for no minimum period of time anywhere in the United States. 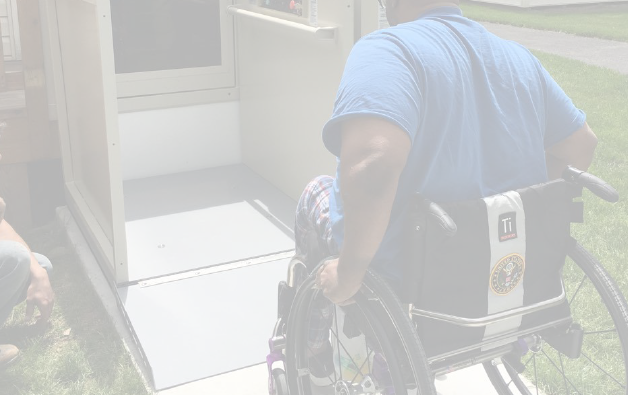 We are now expanding our product line with a full line of accessibility solutions, including our patent-pending HomeNest® system, a safe alternative to a nursing home. Please consider joining our family of franchisee partnerships. You will be part of our organization to serve the people who use wheelchairs in your marketing area. Amramp is a leading source of accessibility solutions. Our goal is to make your life more accessible. 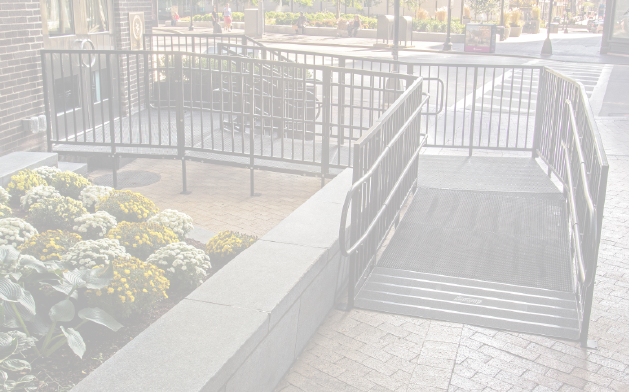 We provide both commercial and residential wheelchair ramps to make access easy. We also have a full line of lifts including chair lifts, pool and spa lifts and stair lifts. Check out all our accessibility products while you are here. Let us help you be more mobile. Contact us for a free wheelchair ramp estimate or other accessibility feature at your home or workplace today. Franchise owners enjoy a rewarding career helping others make a meaningful impact on people's lives, serving the aging population in their home health-care setting. We sell and rent ramps and other accessibility solutions to people wishing to remain in their homes rather than go to a nursing home.